1. Choose any My Mouse Comic by title. 2. Using PayPal send $3 to My Mouse Comic for each Mouse sticker. Or $7 for 3! 3. 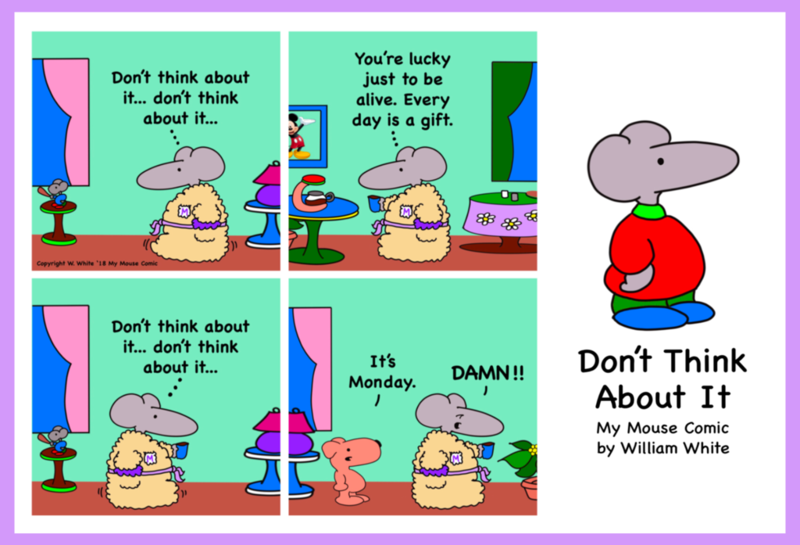 Email your Mouse Sticker choices, your name and your mailing address (U.S. only) to MyMouseComic@gmail.com. That’s it! Your Mouse Stickers are on the way! Shipping is free! Mouse Stickers are 3.5” x 3.5” glossy print waterproof vinyl stickers of the highest quality. They are mailed first class in heavy duty envelopes to ensure safe delivery. Satisfaction guaranteed or your money back. 2. Using PayPal send $5 to My Mouse Comic for each title. 3. 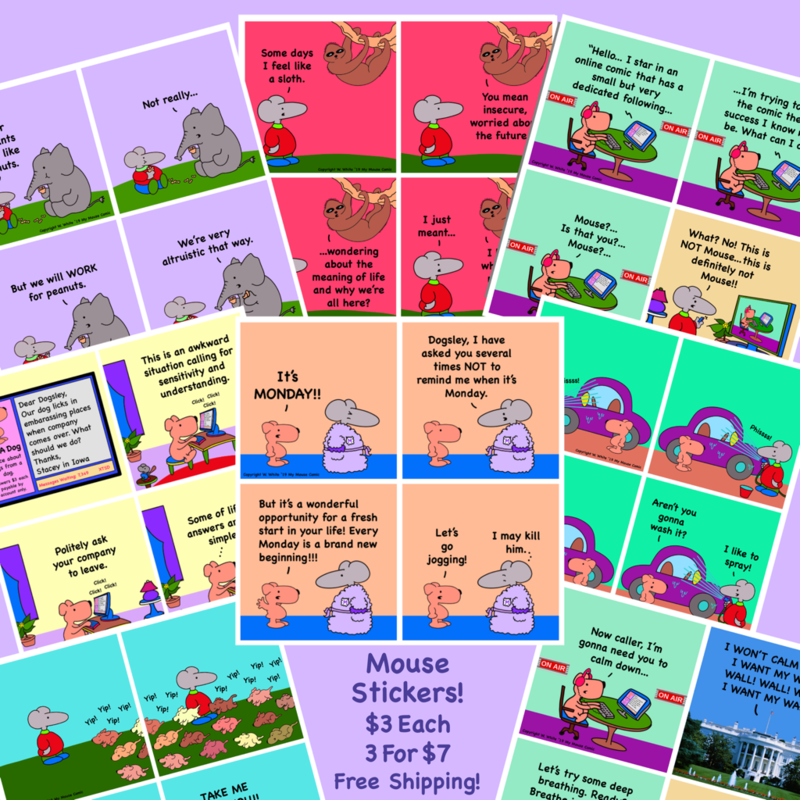 Email your print titles, your name and your mailing address (U.S. only) to MyMouseComic@gmail.com. That’s it! Your Mouse Prints are on the way! Shipping is free! Mouse Prints are 4”x6” glossy prints of the highest quality utilizing Canon printing and papers. They are mailed first class in heavy duty envelopes to ensure safe delivery. Satisfaction guaranteed or your money back.